Total shown represents gross brick sales, cash donations to YBR and HVAC fund, YBR Events and a $75K grant from the NJ Energy Commission. For nearly 60 years, Villagers Theatre has provided a home for the people of Franklin Township and the surrounding area to experience and participate in the arts. In order to deliver the best possible experience for everyone, we need a state of the art facility, so we are raising the necessary funds to modernize and provide maintenance for decades to come. We are doing this by building our very own Yellow Brick Road that leads everyone right to our door. You can click here to see exactly how we plan to use the money that we raise. NOTE: The list of all Donors will be updated Biannually. 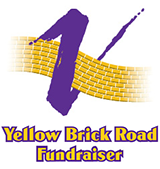 For a donation of just $125, you have the opportunity to have your name, dedication or memorial message engraved on one of our very special 4″ X 8″ Yellow Bricks (up to 3 lines, 15 characters per line). It will then become part of our Yellow Brick Road! You can optionally donate $500, and have a larger message engraved on one of our 18″ x 18″ Yellow Bricks (up to 16 lines, 30 characters per line). 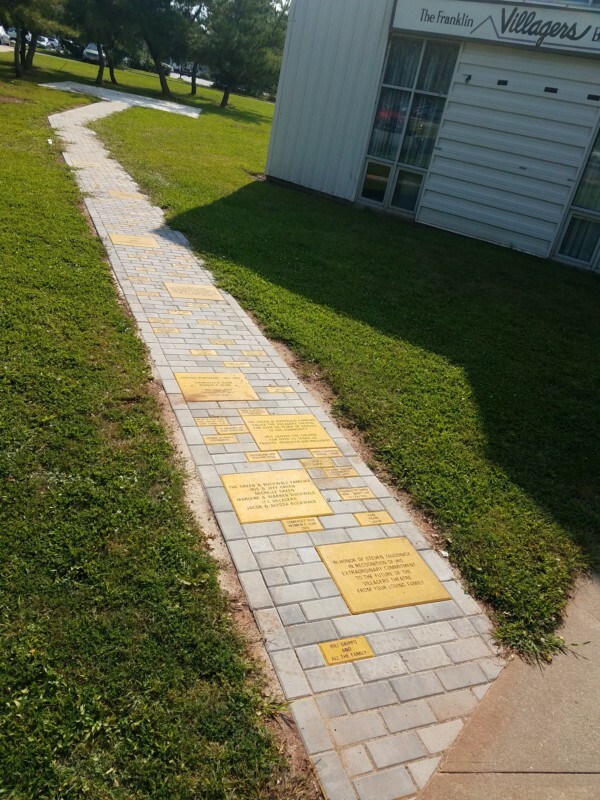 Just like the Villagers Theatre, your engraved brick and the Yellow Brick Road will become a permanent part of the Franklin Township Municipal Complex and help us create an enduring legacy for the future of the arts in our community. UPDATE: The Yellow Brick Road has been installed! CLICK WHICH BRICK SIZE YOU WANT BELOW TO BEGIN THE ORDERING PROCESS! Brick Orders should be placed using the above links for online purchasing. Paper order forms and checks will only be accepted at the Box Office on performance evenings not via US Mail.